Authors Christine Colón and Bonnie Field thought that by a certain age they would each be married. But they watched that age come and goand still no walks down the aisle.In Singled Out, they reflect on their experienceand that of an increasing number of Christians. 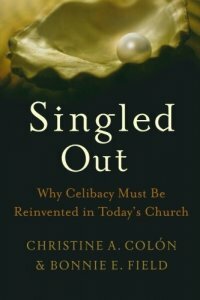 Rejecting overly simplistic messages from the church about "waiting for marriage," they explore a deeper understanding of celibacy that affirms singles' decision to be sexually pure, acknowledges their struggles, and recognizes their importance in the church community. Thoughtful and accessible, Singled Out is an invaluable voice of realistic encouragement for any single as well as an important tool for church leaders and others concerned with mission and ministry for singles.